Hot tubs and saunas are not usually the type of things people build themselves but that doesn’t mean you can’t try. Actually, it’s totally doable, according to some of the DIY projects we found on the internet. Of course, simply starting such a project require a certain amount of dedication so consider all the details and requirements before you start planning the design and try to assess whether or not this is something you actually want or if you really want to turn it into a DIY project rather than buying a ready made hot tub or sauna. How does one build a hot tub from scratch, you may ask. Well, thanks to project series like the one featured on porelivingforlife, you can now find plans and details about the entire process, organized into sections and steps. The process is both simple and complex at the same time. It starts with the gathering of materials and it ends with the installation of a submersible wood stove. When building a sauna it’s important to pick the right type of wood. As mentioned on cedarbarrelsaunas, clear grade A Western Red Cedar is perfect for sauna construction. This is a barrel sauna with a design that’s simple but not necessarily very easy to get right. The barrel features three stainless steel straps which ensure a solid structure and prevent the wood from warping or rusting. 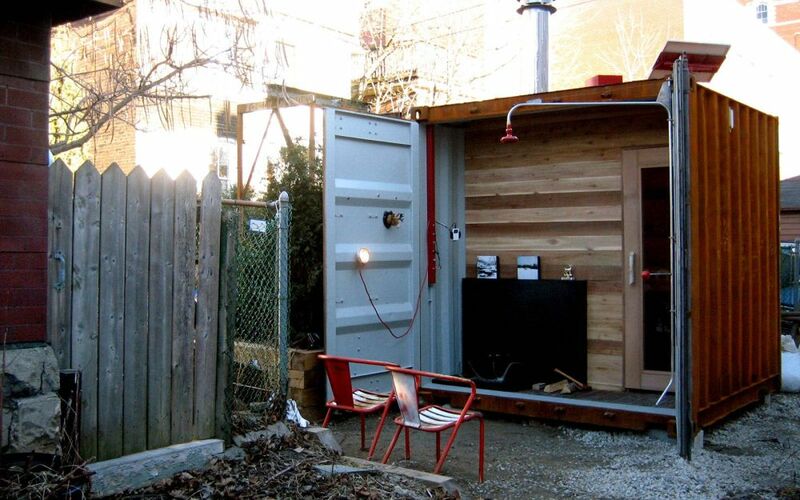 You can simplify the project a bit by building the sauna inside a shipping container and if you want to make it even cooler you can also add solar power and a wood-burning stove to the mix. Plenty of other extra features can be added too, like speakers, lighting and decorations. Check out this traditional sauna from castordesign for more inspiration and cool ideas. An interesting option can be to convert an existing shed into a sauna. This is actually a transition many people would do, especially when the shed is not used for much other than for storing a few things. The transformation involves a few changes. You’ll need to add insulation, a vapor barrier, interior wall boards and to ensure proper ventilation. You’ll also need to add a stove. Someone actually did all this and the process is documented on dengarden. We’ll mix it up a bit now and we’ll continue with a DIY hot tub project featured on experiencetoshare. You can see here how the interior and the exterior of the tub look like and you can find out how to deal with potential problems which may occur such as leaks. All-in-all, the project is fairly simple and you can most likely pull it off even if you don;t have any experience building similar structures. Now let’s back to saunas. 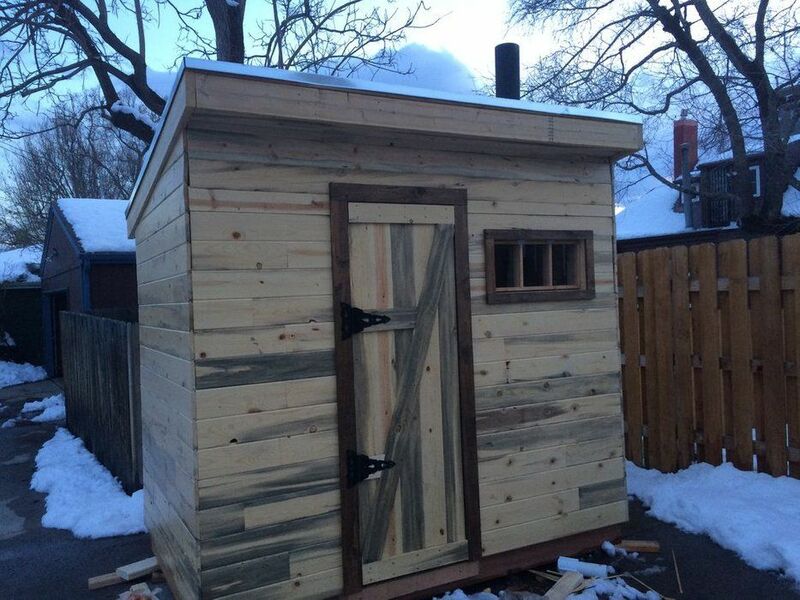 Check out instructables to find out how to build a Finnish sauna. It’s easier if you already have some space in a shed or a barn which you can use for project but if that’s not the case then building the frame shouldn’t be such a difficult extra task but would require some planning and additional resources. In any case, check out this tutorial to find out how to prep the interior. As you’ve seen so far, building a sauna is not such a difficult task if you know what needs to be done and how so let’s now focus a bit on the aesthetic part of the project. You’ll probably also want your new DIY sauna to look pretty and one idea that we think you’ll like is to decorate the exterior with wood slices. It’s a pretty time-consuming and meticulous task but the results are awesome, as you can see on redbarncreations. Building a sauna can take a while, especially if you’re not 100% enthusiastic about the problem or if you simply don’t have the time or resources to finish it. Even so, you can do it all in steps and you can find the problems and fix them along the way. Such a process is documented on instructables and you can surely learn a thing or two for this project. 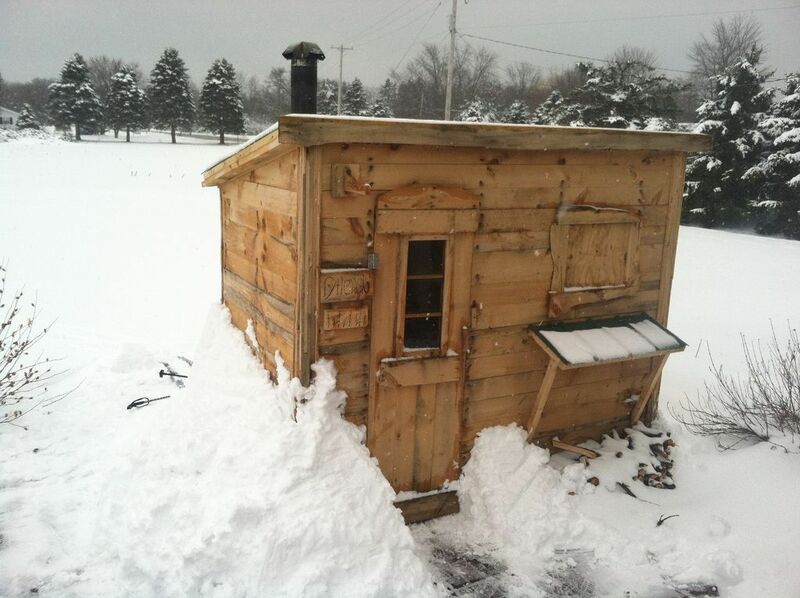 A sauna doesn’t need to be big. In fact, there’s no point in making it any bigger than it has to be since you’ll just have to heat a larger space and that’s not practical in any way. That being said, you can add a sauna to your backyard and you’d still have space left for other features like a pool, a seating area, maybe a swing set or a small garden too. 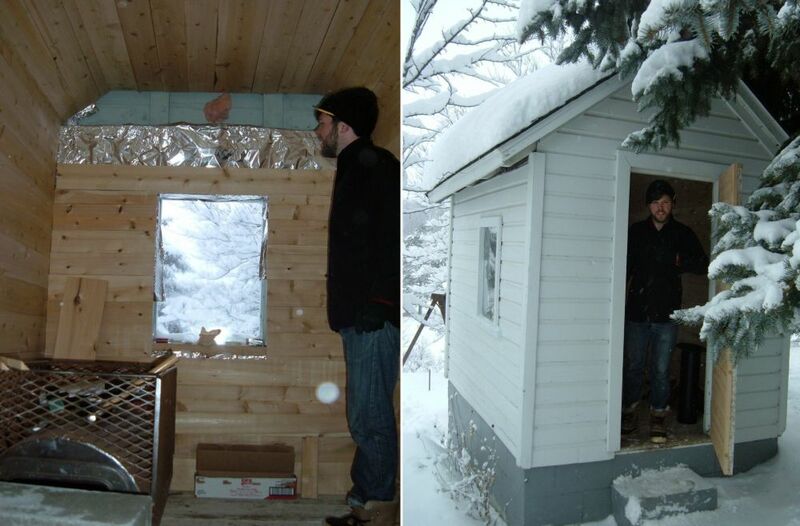 Check out instructables for details on how to build a small backyard sauna with a wood-burning stove. 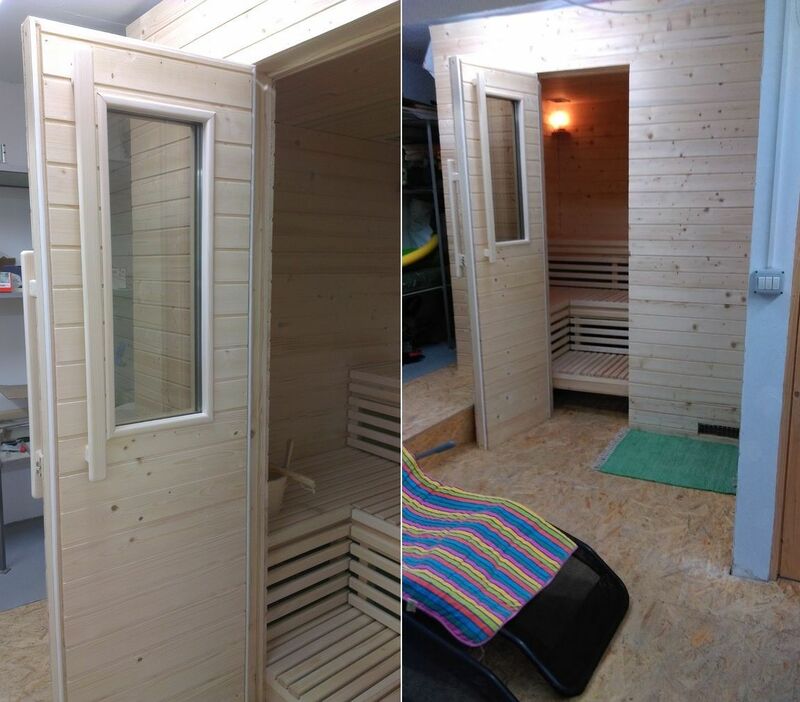 How would you like to be able to take the sauna with you when you go on trips or to move it around for whatever other reason? That would imply building a portable sauna and that’s actually possible, as demonstrated on treehugger. 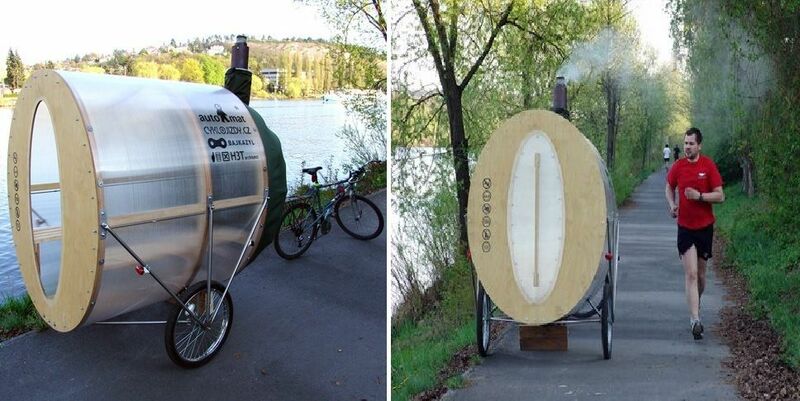 This is a bike sauna, an unconventional but at the same time cool and interesting project. The post How To Build A Sauna Or A Hot Tub By Yourself From Scratch appeared first on Home Decorating Trends – Homedit.